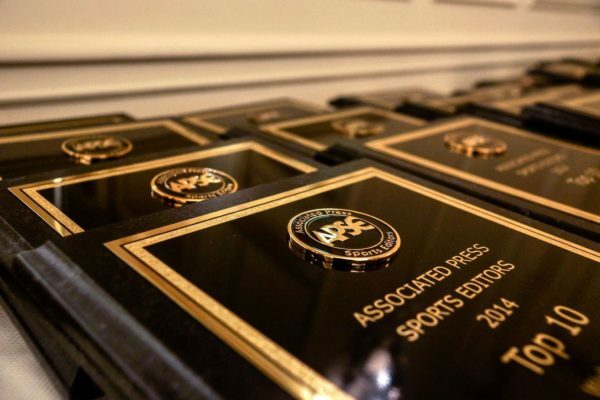 Lars Anderson of Bleacher Report won first place in the Associated Press Sports Editors 2017 contest in feature writing for the Over 175,000 circulation category. Anderson will be presented a first-place plaque at the 2018 APSE Summer Conference Banquet at the Nashville Marriott at Vanderbilt University on June 20. Anderson edged runner-up Mike Sielski from the Philadelphia Inquirer. Andy McCullough from the Los Angeles Times placed third. The feature writing category judges human interest, reader interest, quality of writing and thoroughness of reporting. The top 10 is listed below with links to writers’ Twitter pages, APSE member websites and winning entries. The late Michael Brooks left behind more than the city when he moved to Europe nearly 30 years ago. Ex-NFL player Larry Johnson grapples with violent urges and memory loss. He thinks it’s CTE.